Greenville, SC: The No. 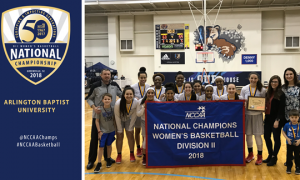 1 seeded Arlington Baptist University (ABU) took down No. 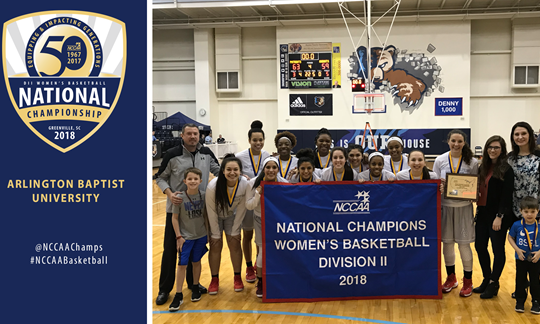 3 Kentucky Christian University in a rematch of last year’s championship game, to win its fourth straight NCCAA DII Women’s Basketball National Championship. 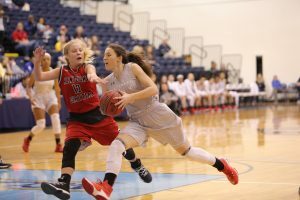 In the 63-59 win, Kayla Beattie scored 18 points and grabbed 11 rebounds, while the Patriots’ defense had 16 steals and caused 23 turnovers. After a first round bye, the Patriots defeated host and No. 5 seeded Bob Jones University (BJU) by the score of 86-68 in the semifinals. Leading the way for ABU was Kayla Beattie who finished with 15 points, 14 rebounds, 4 blocks, and 8 assists, while Daija Stanford added 16 points, 5 rebounds, and 5 assists. 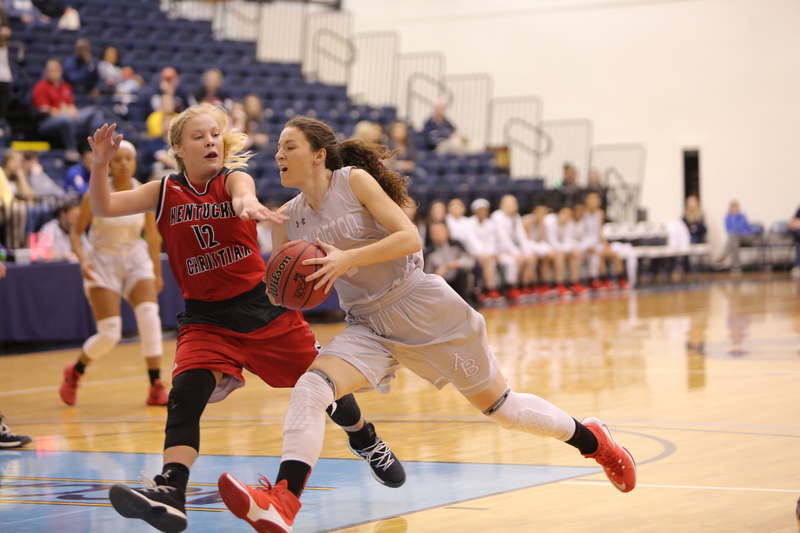 The Patriots held BJU to 32.8 percent shooting and caused 18 turnovers in the win. ABU’s Kayla Beattie was named Tournament Most Outstanding Player as she averaged 16.5 points and 12.5 rebounds.